December 1st will be here before you know it. 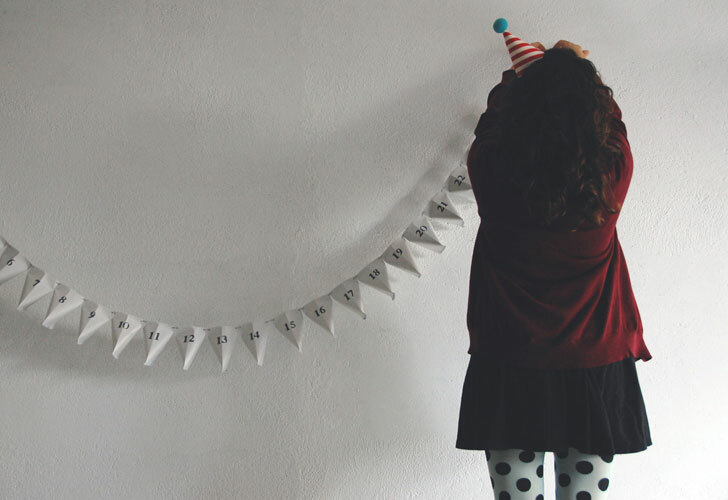 Are you ready for the big countdown to the holidays? We found six sustainable, reusable advent calendars that will keep kids' excitement growing right on up to the big day event, many with pockets, pouches and boxes to hide little trinkets and treasures to be discovered each day. We even found an 8-day Hanukkah countdown calendar. 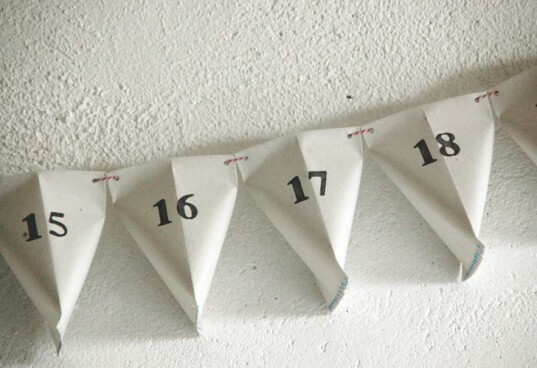 See all of our favorite advent calendar finds after the jump. 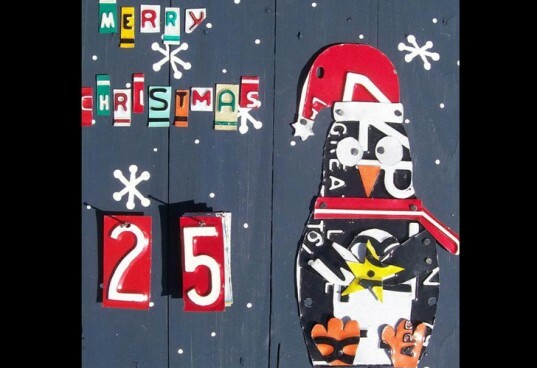 Handmade from salvaged license plates, this advent calendar really makes a statement on your wall. Numbers cut from old plates are hung on two nails and can be switched daily to keep track of the time left ’til Christmas. Because of the metal pieces, this choice may be best for older kids. You’ll receive a set of handmade 100 percent unbleached cotton fabric bags printed with the days December 1 – 24. 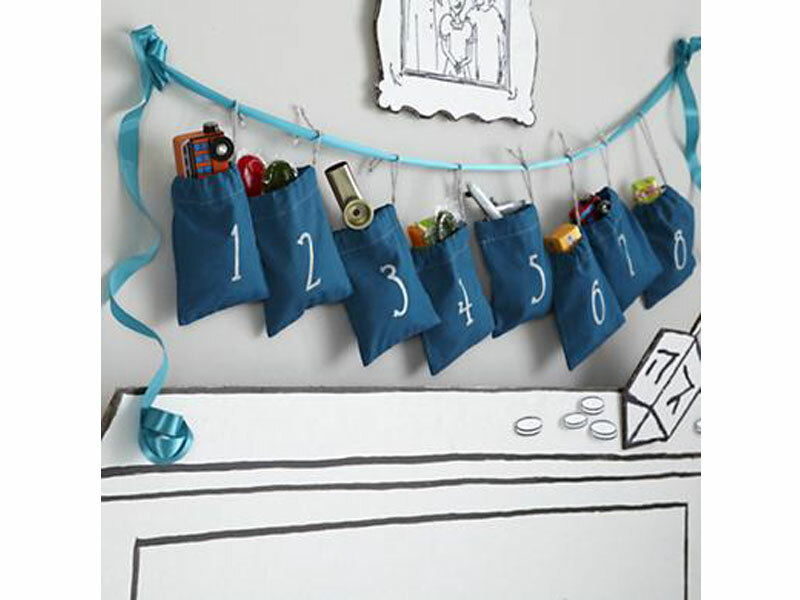 You can reuse them year after year, inserting special trinkets or organic chocolates into each pouch. Not counting down to Christmas in your house? Get these Hanukkah Countdown Goodie Bags instead. The pouches will hold sweets or small goodies, and they may be used again and again, year after year. This sweet open-the-door style advent calendar features illustrations of fairies and forest animals by Melissa Sweet, printed using eco-friendly inks. Encourage careful opening of the doors and you’ll likely be able to use this budget-friendly option again next year. If it gets torn, you can recycle it. Count down to the 25th with a set of 24 little recycled paper bags that will hold tiny toys and treats. The bags, which can be hung in a line, come packaged in a box so it’s easy to save for years to come. This option is handmade using 25 2-inch by 2-inch boxes attached to chipboard that can be hung on the wall. Fill the boxes with stickers, candy or anything else you desire to surprise your tots each day until Christmas. 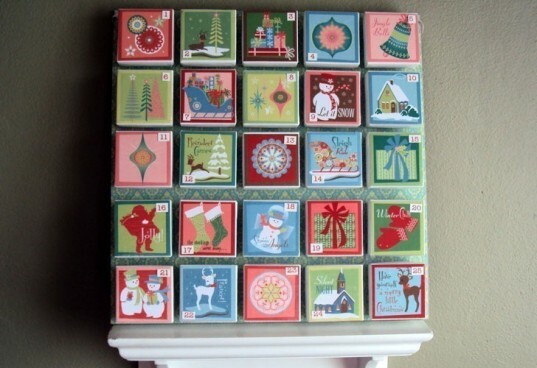 Handmade from salvaged license plates, this advent calendar really makes a statement on your wall. Numbers cut from old plates are hung on two nails and can be switched daily to keep track of the time left 'til Christmas. Because of the metal pieces, this choice may be best for older kids. You'll receive a set of handmade 100 percent unbleached cotton fabric bags printed with the days December 1 - 24. 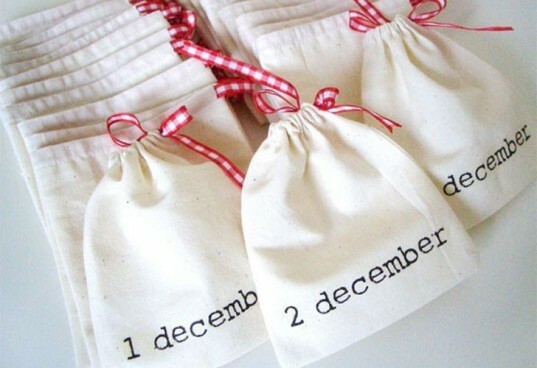 You can reuse them year after year, inserting special trinkets or organic chocolates into each pouch. 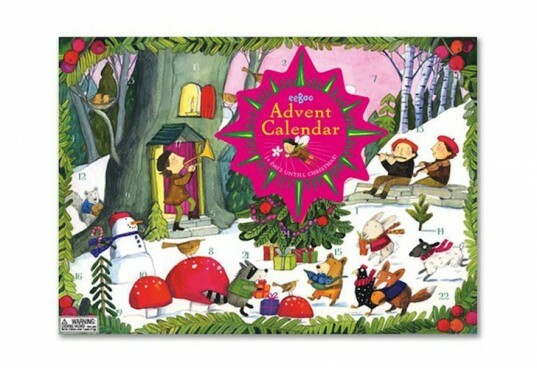 This sweet open-the-door style advent calendar features illustrations of fairies and forest animals by Melissa Sweet, printed using eco-friendly inks. Encourage careful opening of the doors and you'll likely be able to use this budget-friendly option again next year. If it gets torn, you can recycle it. Count down to the 25th with a set of 24 little recycled paper bags that will hold tiny toys and treats. The bags, which can be hung in a line, come packaged in a box so it's easy to save for years to come.